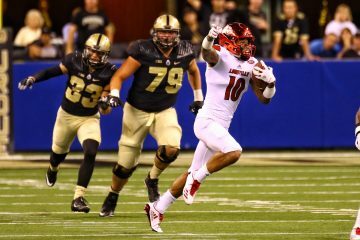 The University of Louisville Football program has added a late running back JUCO transfer Harry Trotter to play for the Cards this fall. Trotter visited UofL for the Spring Game has 3 years to play after playing as a freshman at Dodge City Community College in Kansas. Trotter is 5’11, 190 lbs and rushed for 503 yards and 8 touchdowns.